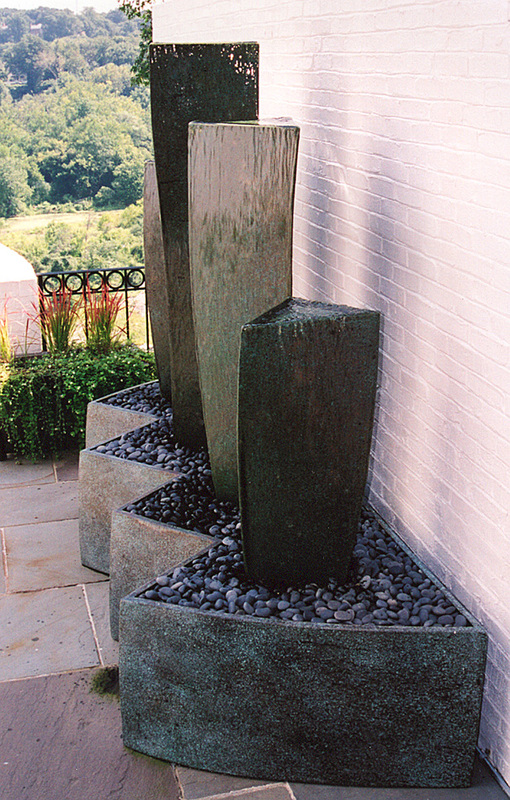 These four twisting sculptural elements have water sliding down its surfaces into a bronze basin covered with smooth black beach stones. 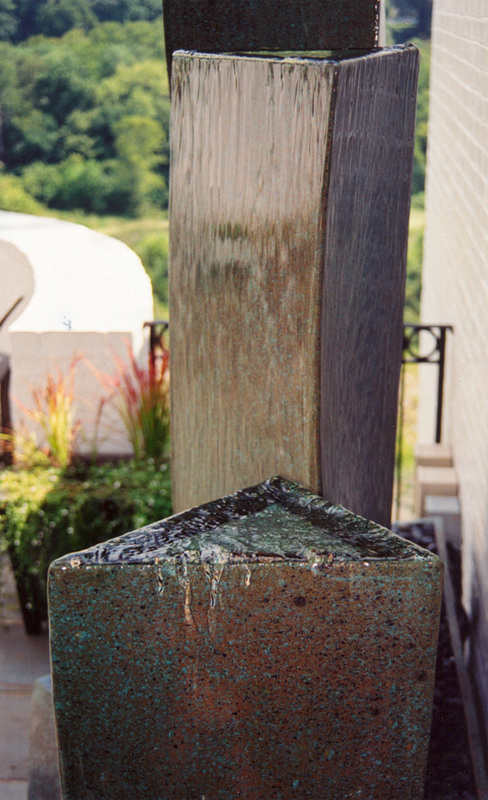 The patina is a combination of blue, gold, black, and green colors. Sited high above a wild and scenic river, this sculpture alludes to sailors looking over the ship’s rail, searching for someone lost at sea.